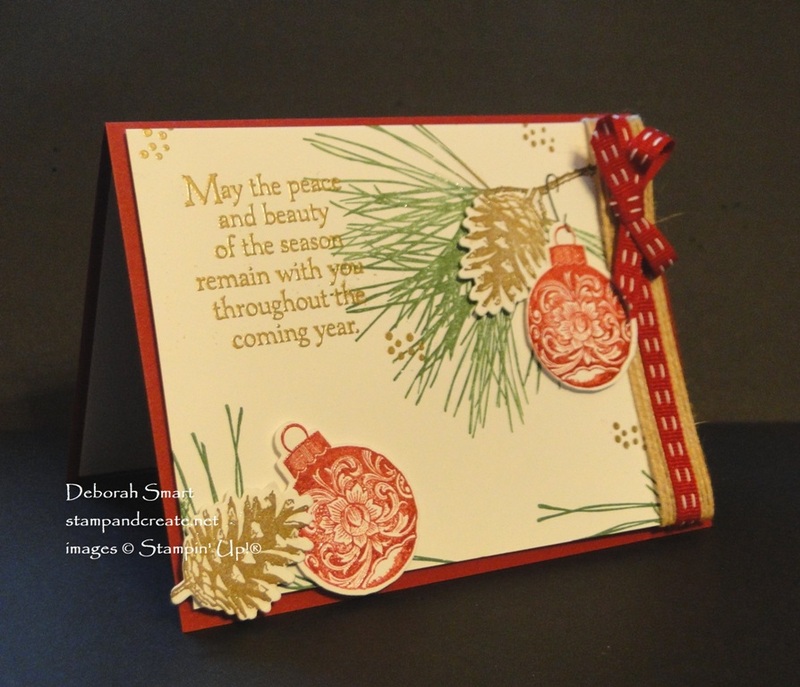 The last day to reserve your Stamparatus is December 30th! If you don’t reserve one before then, you’ll have to wait until the new Annual catalogue in June. Reserve your Stamparatus now, and when it’s ready for delivery only then will your credit card be charged (it will be after March 19th). The good news is – since it will charge & ship in March/April, you’ll be able to ADD product to the order that has your Stamparatus, which means you can bring your order to qualifying status for FREE Sale-A-Bration products!! Read all about the Stamparatus and how to reserve in THIS POST. Time is running out! All Year End Closeout items and Retiring Products are now all ‘while supplies last’ – including retiring stamp sets! You have only until January 2nd to take advantage of sale prices, and get those retiring sets that you’ve had your eye on for the last few months! Didn’t get it for Christmas? Time to buy it for yourself now! Check out my online store HERE for these items, and read more about it in THIS POST. Normally, today I’d be sharing a new challenge with you for the Paper Craft Crew Design Team. However, due to the busyness of the holidays, the current challenge is lasting 2 weeks! You still have until next Tuesday, Jan. 2nd, to link your card for the challenge! You can see my card and the challenge in THIS POST. Word on the street is that 2018’s kits are aaahhmazing! Be sure to sign up before January 10th to get your January kit, delivered to your door! If you’re in Canada, you can CLICK HERE to sign up with me. Once you’ve entered your information, just sit back and wait. Your creative escape will be hand delivered to your door around the middle of the month. Create the project exactly as the instructions say, or check out the Paper Pumpkin Pinterest page for alternate project ideas! Want to get your hands on the March Paper Pumpkin kit for FREE – and before anyone else?? Take the RED BOX CHALLENGE! All you have to do is create an alternate project using a past Paper Pumpkin kit (one from your stash, or purchase one you wish you had! ), and share your creation on Facebook or Instagram using #redboxchallenge ! Why the March kit? Well, that just happens to be the 5th Anniversary of Paper Pumpkin, so you can bet that this kit is going to be over the top special!! Read the details of how and when to enter and qualify. That’s a lot of information – see why I thought a post of reminders might be helpful!? You’re welcome 🙂 Come back again tomorrow, and I’ll have another sneak peek for you! Previous Previous post: Happy Leftovers Day!